Making meaningful connections with your potential customers can be challenging. Take a look at some of these quick tips to help get your self storage digital marketing efforts back on track and kick off Q2. Mobile optimization is one of if not the most crucial elements of successful digital marketing. A potential self-storage customer might find themselves moving to a new city, preparing to move out of an old city, or simply always on the go. It only seems right to be able to bring your digital A game to them on whatever device or platform they might have at their disposal. With more than 10,000 tweets sent per second, 86% of mobile Internet users now use their devices while also watching television. As these numbers and percentages rapidly rise, it is more important than ever to embrace a mobile first mentality. Take advantage of the need it now “on demand” generation that is constantly glued to their smartphones and tablets. Nearly 70 percent of mobile Google search results are paid search ads. This is a rich opportunity to get in front of some hungry mobile consumers and opens the door for mobile only ads and call to actions. No matter how slick or expensive a website is, without good SEO, no one will be able to find it. A goal should be, through your digital presence, to show that you are self-storage experts. 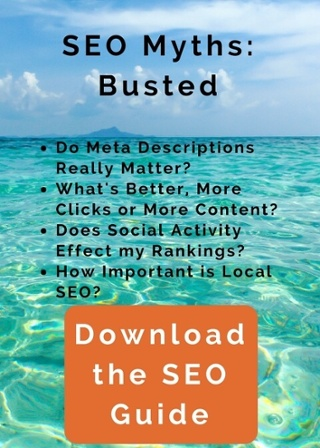 Along with a tactfully implemented SEO strategy comes being found when it matters most. Good SEO comes down to and is all about increasing visibility and solid organic incoming traffic. Through content development we can help you tell a story on your site. Understanding your customers and speaking to them through targeted content means a lot and goes a long way. Figure out how to make emotional connections with future customers and make them feel like you’re on their side in what could be a difficult or transitional time for them. It’s also important to look beyond search engine ranking when thinking about SEO. There are other ways to win. You can earn a top-of-page knowledge box answer or a place at the top of the list of local businesses. Knowing things like current cost per lead and cost per lease can help us get you the highest ROI possible. We take reporting seriously. By really learning and understanding your data we can focus on increasing conversions, decreasing costs per acquisition, and increasing overall impressions and clicks. Through A/B testing we’ll be able to know what’s working and what isn’t. Knowing what doesn’t work is just as valuable as knowing what does. Understanding your customer through analytics ultimately leads to more efficient ad spending and budgeting. With challenges in the self storage industry such as regional differences, seasonality, and diverse customer personas, it’s important to be data focused and attentive to trends that can be capitalized on. Set goals and create social media marketing plans with those goals in focus. It’s a good idea to determine which social media networks are most used by your customers. You should also try to articulate the best voice and style for your storage facility and your community. A solid and strategic social media plan ultimately leads to savings and protecting your bottom line. Not only do you need to understand where your customers are likely to engage, but you also need to evaluate where your competition is in the available social media spaces. You should choose the channel that will help you grow the most share of voice in the self-storage space. It’s also important to pay attention to where and when your competition might be leaving opportunities on the table. Paid social media placement is all about getting the right content in front of the right audience at the right time. Running social media advertising provides your storage company with the opportunity to reach customers long before they are aware they need storage units. We will work with you to develop highly motivated audience segments and the creative imagery, video, and more that drive the best qualified traffic to your facility.